Just a quick post on what I found in The Body Shop today. The Christmas specials are now in store. Enjoy Gingerbread Sparkle, Cranberry Joy and Vanilla Bliss. Last year I got the Gingerbread Sparkle Body Butter and Exfoliating Heart shaped soap. Love them both ~ a lot. 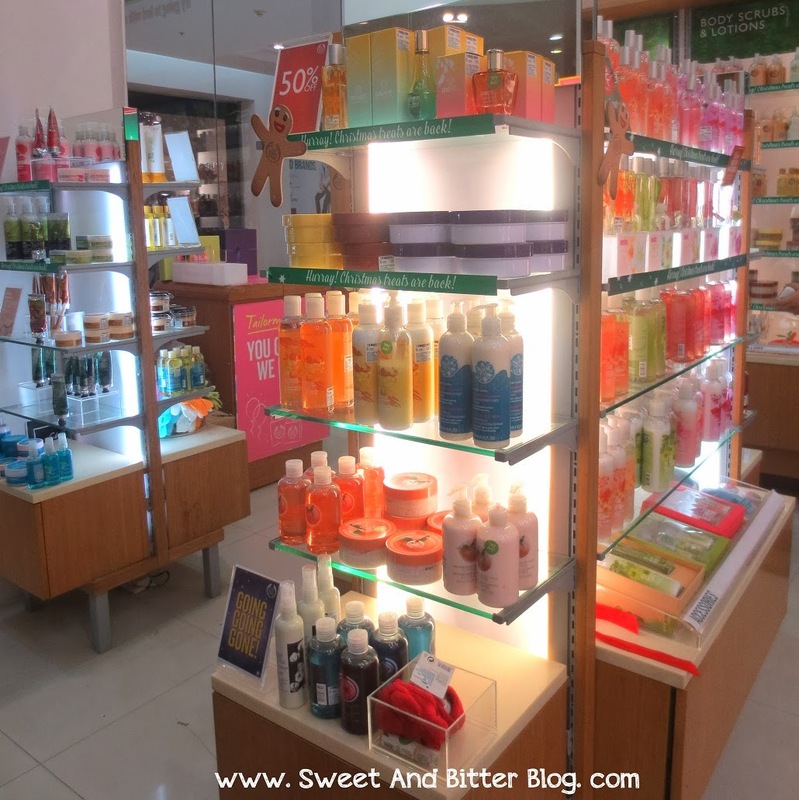 The Body Shop India is also having 50% off on a lot of products. The Body Shop Vineyard Peach Shower Gel, Vineyard Peach Body Scrub and Lotion are also having 50%. The last day of the sale is tomorrow but I think it might get extended. If you are not the one who believe in chances then rush to your nearest Body Shop store. I will pray that you get your favorite body butter for 50% off. 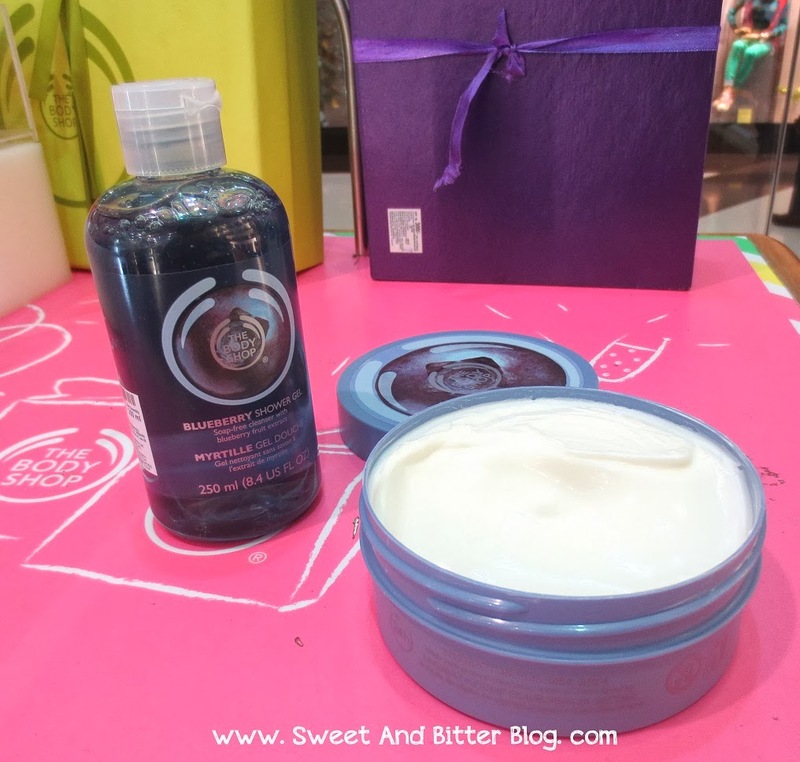 And the NEW LAUNCH new - The Blueberry products from The Body Shop is here. It smell a lot like the Passionfruit range. And the best part is that the Body Shop Blueberry Shower gel is already on 50% off list! How cool is that!